For New Years Eve and New Years Day I thought I'd look back on the cars I posted in 2010 and pick some of my my favorites. This was not easy to do. I tend to find some good in all the cars I post and want to own most of them. I know I missed a few that should have made the cut. Oh well, there's always next year. 10. 1988 24 Valve Alfa Romeo Verde - A Milano with a 24 valve 3.0 liter 6 in it. It just doesn't get a lot better in my mind. 9. 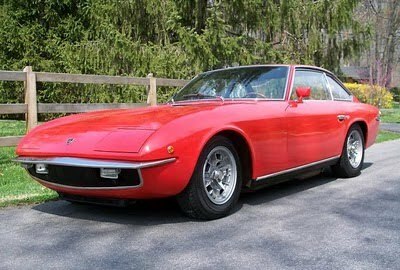 1968 Lamborghini Islero - I believe that an old car (or any car, for that matter) should be driven as often as possible. I don't really admire trailer queens. 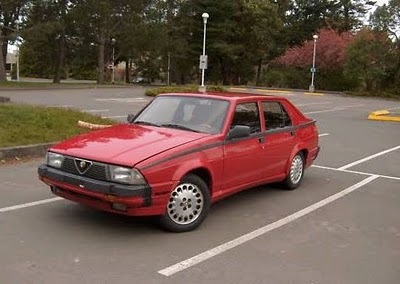 This is a car I would drive as often as a I could. Then I'd park it in my living room so I could sit and stare at it the rest of the time. Damn, this is a gorgeous car. 8. 1990 Citroen XM - As soon as they are old enough to import legally, I will own one of these. 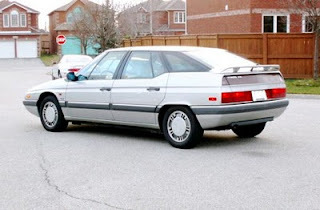 The XM is everything that is good about Citroen wrapped in a very cool Bertone wedge body. 6. 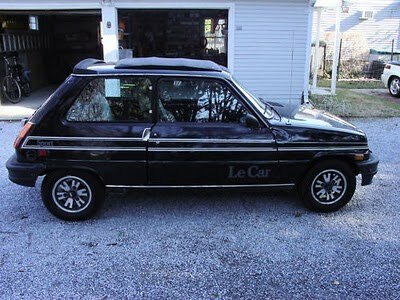 1982 Renault Le Car Sport. What can I say? I like the Le Car / R5. This one has some neat features and looks great in black. It sold for just $500.00. This is an awesome gimmick to end the year. I like the choices so far and I'll be interested in seeing what the Top 5 are. I think if you got an XM you would probably be sorry you did. I've heard they're a complete Nightmare electrically! I love weird cars but have never been brave enough to own a Citroen other than the GS I brought down from Canada years ago, and that came and went quickly. I Totally agree on the Le Car! I've owned several Reanults. They're very misunderstood and if a Le Car Came up For Sale for $500 in my area, it would be Mine So Fast!!! Wrong URL ... I posted some pix from Le Flatbed and the mechanics that will be doing the restoration! :) Sorta fun finding this site, and my "new" car getting so much attention! Welcome, Sandee. It's awesome that you found the car you bought featured on this site. Not that I'm any sort of spokesperson by any means, but this site is where a wide variety of vehicles are featured, mainly those of the obscure variety. The cars on your site... wow, that is an extensive list, and certainly more interesting than the cars I've had! Among the fans of this site, your old Le Car Sport and the Fiat X/19 will get the most kudos. Great gimick. I missed the Islero on the original post. I love these cars. They are by far one of the sexist looking 60’s Italian sport cars. The January 2011 Sports Car Market has a two page article on the 1969 S model that was driven by Roger Moore in “The Man Who Haunted Himself” It is a beautiful car with silver exterior and deep burgundy interior. It sold for $169k in the UK in October 2010. Out of my league. Dave, I’ll make sure I don’t miss any more post!